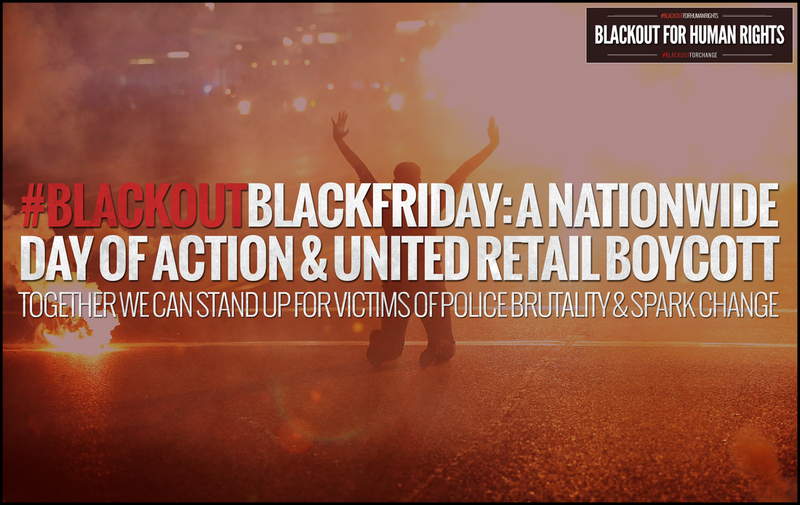 Our First Action: To make Black Friday (November 28, 2014) a day of action and national retail boycott. Blackout will be organizing grassroots events, nationwide, for people to come out and show their solidarity in the fight for equal human rights. 3. Pledge to not shop on November 28, 2014 and encourage your network to do the same. 5. Volunteer your talents (i.e. community organizing, art, networking, performance, etc. ) at Blackout events near you.